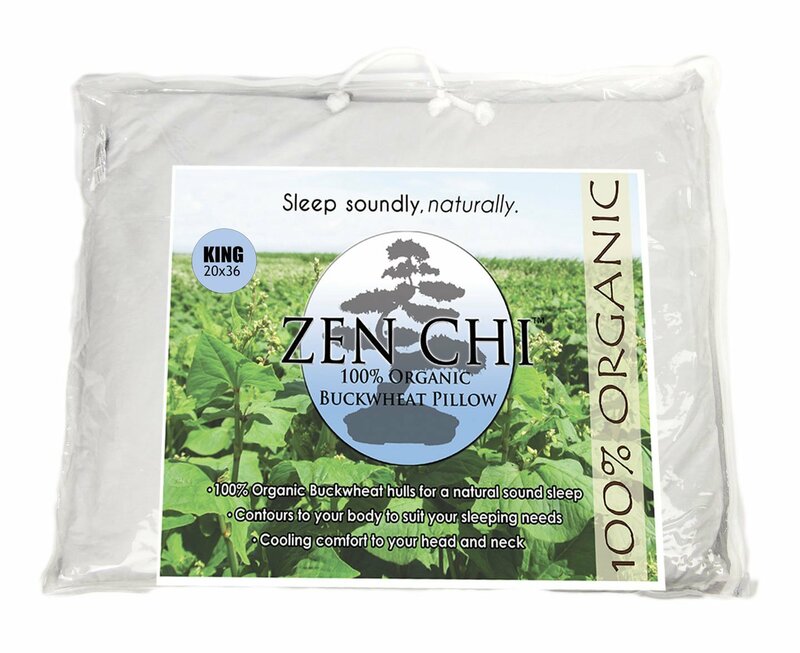 Buckwheat Pillow Zen Chi 100% Organic Buckwheat Pillow King Size (20" X 36") - Sleep soundly, naturally with the revolutionary Zen Chi pillow. For centuries the Japanese has used home-grown buckwheat hulls to sleep effortlessly and soundly. Sadly, these pillows have been a secret to the US market until now. The Zen Chi Pillow contours to your body to suit your perfect sleeping needs. And, the organic Buckwheat Hulls provide natural cooling comfort to your head and neck. If you have never slept on a buckwheat pillow, your night will never be the same. Each buckwheat pillow contains between 4 and 12 lbs of 100% organic buckwheat hulls depending on the size of the pillow. Since Hulls settle over time, the ZenChi Pillow has a zipper where you can easily refill or deplete your pillow to conform with your personal preferences. The Zen Chi Pillow is machine washable and can be tumble dried, as the hulls are easily removed before wash. Since you are ordering direct from the manufacturer, you don't need to spend too much on competitor brands of varying quality. The Zen Chi Pillow is backed by our 100% satisfaction Guarantee. If you are not 100% satisfied with your purchase we will take it back, no questions asked. There are many brands out there, but none is like the Zen Chi Pillow. Don't let the reasonable pricing fool you. The Zen Chi Pillow uses 100% Organic grown buckwheat hulls and will change the way you think of sleep.